High Noon appears in an aspect ratio of approximately 1.37:1 on this Blu-ray Disc. This became a very strong transfer. Sharpness consistently looked tight and concise, as very few instances of softness marred the presentation. When we did get lesser than positive delineation, it stemmed from close-ups of actresses or Gary Cooper – and these appeared to stem from attempts to give those actors more favorable portrayals. Jagged edges and shimmering remained absent, and no edge haloes appeared. The movie also lacked any print flaws. Blacks looked terrific. Those elements appeared deep and dense, while contrast also succeeded . Shadow detail was smooth and concise as well. I felt highly happy with this great presentation. As for the film’s DTS-HD MA monaural soundtrack, it seemed suitable for its age. Speech was a little tinny at times, but the lines usually sounded fairly natural when I factored in the era in which they were recorded. To be sure, all dialogue remained easily intelligible, and I noticed no edginess or other problems. How did this 2016 “Olive Signature” release compare to the 2012 Blu-ray? Audio seemed similar – if not identical – but visuals demonstrated improvements. The 2012 release suffered from awkward digital tinkering that didn’t impact the 2016 disc. This meant the “Signature” version appeared better defined, cleaner and much more natural than its predecessor. Other than the film’s trailer, this 2016 “Olive Signature” Blu-ray drops pre-existing extras and replaces them with new ones. These mainly come to us via four featurettes, and these start with the five-minute, 53-second A Ticking Clock. In this program, Terminator editor Mark Goldblatt discusses the construction and editing of High Noon. He offers a good analysis of various filmmaking elements. During A Stanley Kramer Production, we get a 14-minute piece with film historian Michael Schlesinger. He chats about producer Kramer’s career, with an emphasis on aspects of High Noon. This turns into another short but effective program. 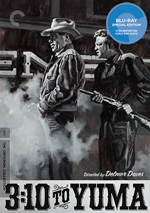 Next comes the nine-minute, 47-second Imitation of Life: The Blacklist History of High Noon. This delivers notes from history professor Larry Ceplair and blacklisted screenwriter Walter Bernstein. “Life” goes over the Hollywood Blacklist and its impact on High Noon. We get a nice array of notes in this informative show. 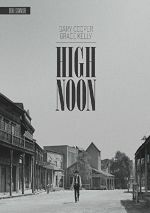 Oscars and Ulcers: The Production History of High Noon goes for 12 minutes, two seconds and features narration from actor Anton Yelchin. As expected, it covers aspects of the film’s creation, and it does so in en efficient manner. Finally, we move to Uncitizened Kane, a text essay from Sight & Sound editor Nick James. It gives production notes and context for High Noon and becomes a useful piece. Note that the same essay also appears in the package’s booklet. A classic Western, High Noon holds up well after more than 65 years. It stands as a strong piece of dramatic storytelling that also features a powerful social connection. The Blu-ray provides excellent visuals along with acceptable audio and a decent array of supplements. It’s too bad some prior bonus materials don’t reappear here, but this still becomes the best release of the film.